The campaign was so successful that it caught the attention of some of the biggest names around – from Christian Bale to Ben Affleck (Batmen themselves) and even then-president Barack Obama. #SFBatKid is one of the most successful hashtag campaigns of all time, one that translated into an even bigger offline success. There’s a lot to be gained in launching your very own hashtag campaign if you do it right. Today, we will be talking about how you can take advantage of hashtags on Twitter to help you achieve your marketing goals. Are you #ready? Let’s begin. Hashtags are phrases or words with the pound sign (#) affixed in front. They are popular on various social media platforms but were first used by most users on Twitter. Hashtags create a searchable index that makes it easier for people to find the conversations they are looking for. They also allow users to view posts from people whom they might not be following, which gives your campaign a broader reach. When used properly, hashtags can help you skyrocket your visibility on a high-traffic site like Twitter. They can introduce you to well-targeted users who will go on to purchase your products or services. If you want to launch your own hashtag campaign, you have to put some thought into crafting the perfect hashtag. The perfect hashtag should be catchy, short and relevant. You can begin by listing down as many original hashtags as you can come up with. After creating a list, you can input some of your top picks on Twitter to see if anyone has used them before. Remember, you will be associating your name or brand to your particular hashtag so it’s only right that you invest time and energy in crafting the right one for your campaign. When doing your research, get in touch with the pulse of the people and find out what they are ALREADY talking about. This should give you a bunch of fresh and relevant ideas that will help you create the perfect hashtag for your campaign. Neglecting to set your marketing goals for your hashtag campaign is a fast ticket to nowhere. Measuring success will be practically impossible if you don’t have goals in place. Your marketing goals will define a big chunk of your hashtag campaign and how you carry it out. 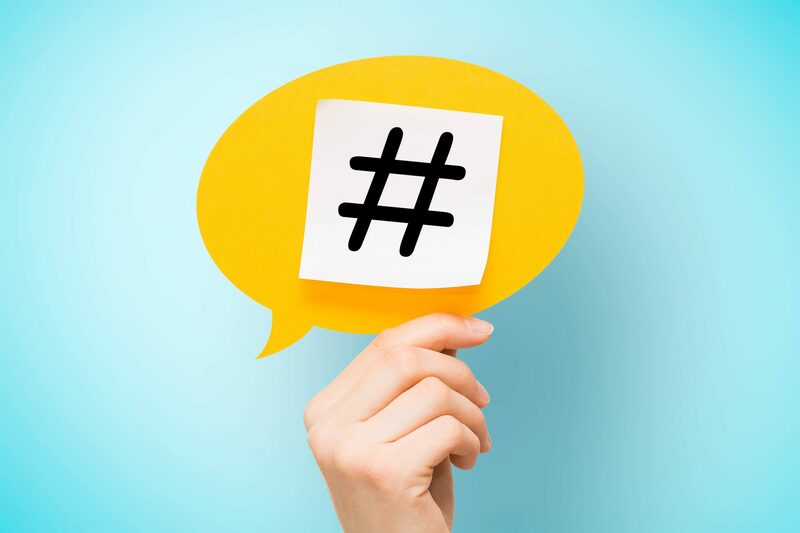 A hashtag campaign can help you generate fresh leads, provide proof of excellent customer experiences through user-uploaded content, and so much more. Knowing what you want to get out of Twitter as a whole will help you define your campaign strategy. When setting your marketing goals, be as specific as you can so you’ll have a much easier time crafting your overall strategy to meet them. Hashtags heavily rely on shares in order to gain maximum exposure. In order for you to rack up the shares, you have to use low-barrier entry points. Innocent Drinks knows how to keep the rules to their contests simple while maintaining a level of light-heartedness. For their #TweetForASeat campaign, they asked their followers who they’d take to the 2012 London Olympics for a chance to win a pair of tickets to one of the events. Overcomplicating your campaign may deter users from participating. Remember to keep the steps simple in order to get maximum participation from Twitter users. No campaign is complete without a stunning set of marketing assets. Hashtag campaigns can work with just plain text-based tweets but why stop there? Red Bull’s award-winning campaign entitled #PutACanOnIt was received well by everyone due to the creative nature of the images used. Pair your winning hashtag with an eye-catching image or an engaging video to gain the attention of Twitter users everywhere. Doing so will help you stand out from all the other generic campaigns out there. There’s a lot to gain from user-uploaded content during a hashtag campaign. Encourage your most diehard followers to upload images and videos of their own. This will help strengthen your social proof to those who might not be familiar with what you have to offer – when they see other people like them participating, they’ll be eager to join in. The White House, under the leadership of Barack Obama, encouraged everyone to tell the world what $40 means to them in an effort to convince Congress to extend the payroll tax cut. They received an overwhelming amount of responses that made their campaign a trending success. Hyping your campaign before the launch can help you gain massive attention on social media and the rest of the web. This should also make the guidelines more clear to all your followers who are thinking of joining in. Prepare teasers and snippets of your actual marketing assets in order to hype your campaign days before the launch. This should be enough to get everyone excited about your campaign – including you! Releasing teasers can help you have a better idea of how your actual campaign will be received. Take note of the impressions and feedback you get during the teaser launch because these are valuable insights you can use to tweak your campaign right before it starts or as it’s in progress. Purchasing a few thousand Twitter followers leading up to your actual launch will help you establish a more credible persona on a highly competitive platform like Twitter. When it comes to any internet marketing campaign, social proof is king. Investing in high-quality followers can help you turn more heads from people within your target market. Reputable providers of social signals offer not just high-quality Followers but also superior service quality that ensures you get exactly what you pay for. They are guaranteed to deliver followers that look real, while providing you with prompt customer assistance and comprehensive guarantees. Finding a reputable provider on your own may be difficult if you’re working with a tight deadline. We’ve made it a lot easier for you to buy the winning start you need for your campaign by putting some of the most popular providers to the test. Check out our reviews to find the one that’s right for you – we include a long list of providers at every price point so you can find the best one according to your budget. Now that you have everything you need ready to go, all that’s left to do is to launch your hashtag campaign. The moment you launch your campaign, all hands and eyes must be on deck to prevent falling prey to internet trolls. Keeping a close eye on your campaign the moment it goes live will help you safeguard the quality while maintaining high levels of engagement. Make an effort to keep the conversation going as long as possible in order to gain the most PR mileage. This should help you reach out to Twitter users who may not be in your immediate circle. Remember, only public posts are indexed so encourage everyone to tweak their tweet’s privacy settings before sending them out. Find out when your followers are most active on social media by building a comprehensive buyer’s persona. You can also study your analytics and engagement rates to determine the best hour for your launch. Never resort to spamming and keep all your posts high-quality. Remember, you can increase your chances of gaining hashtag success by purchasing likes, retweets, and other social signals while the campaign is ongoing to help increase its overall appeal. A hashtag campaign should be a staple of your advertising efforts, a recurring addition to your marketing arsenal. Launching a hashtag campaign every now and then can help you better understand what works and what doesn’t – which helps you improve and strengthen your marketing strategies in the long run. Make sure to keep a close eye on your campaign once it goes live to ensure quality, engagement, and relevance. Combine a great hashtag campaign with high-quality social signals from a reputable provider, and you’ll really be cooking with fire. You can efficiently boost your social proof without overly exhausting all of your marketing resources. Avoid the scams and stick to our list of tried and tested providers who offer superior social signals and unparalleled service quality. Learn how to use hashtags as effectively as possible so you can reap all the marketing benefits they have to offer. Are you #trending yet?